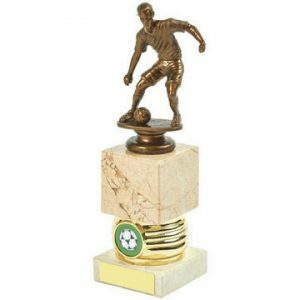 Award a man of the match trophy that is sure to be treasured. 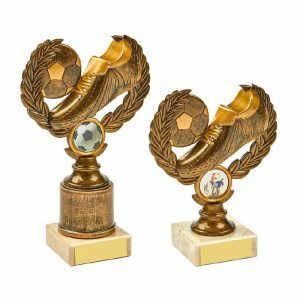 Challenge Trophies Online stocks a wide range of impressive trophies. 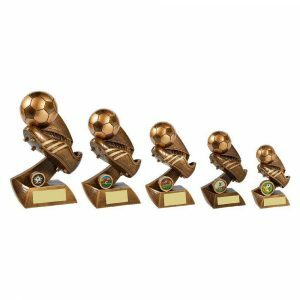 From straightforward medals to man of the match trophies featuring action scenes, you’ll find the ideal solution. Every item can be personalised with ease. 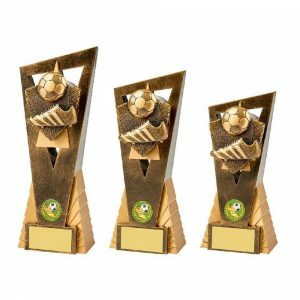 A dedicated area is provided on each trophy for the details to be engraved. 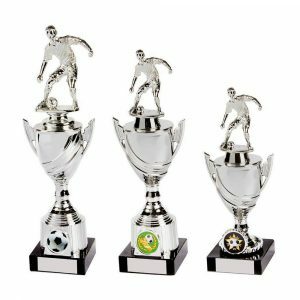 Our in-house engravers personalise each trophy before transporting it to the customer. Our team is able to handle the smallest orders and the largest. 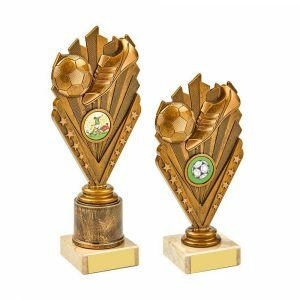 A man of the match trophy to recognise the best footballing performance is easier to order and cheaper to buy than you might think. 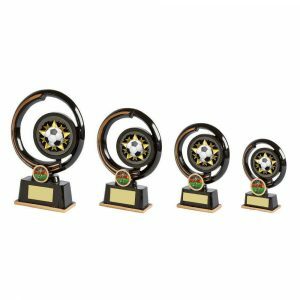 Challenge Trophies Online has a simple ordering process. 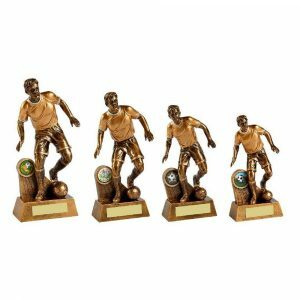 If you require several man of the match trophies you can opt for a separate message on each one. The ordering process takes you through each stage. There’s no confusion or complications. You can order without any problems. We’re here to answer any queries if any arise. 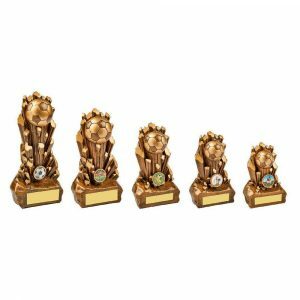 Choose from jade glass football trophies or gold resin trophies. Jade glass options come with their own built-in stand. The gold resin options feature a number of designs. Footballers in action on the pitch are used in various poses to commemorate the man of the match. Engraving incurs a small additional cost. Keeping everything in-house allows us to offer you the best prices every time. 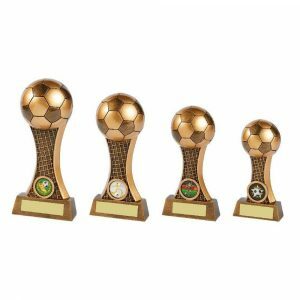 Medals in presentation cases can also be purchased. 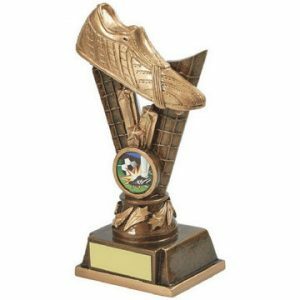 This provides a different type of man of the match award. 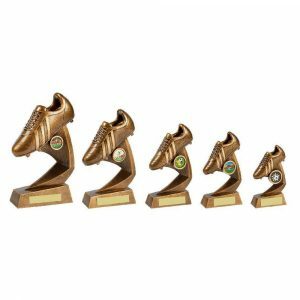 Our awards are ideal for every match of the season, as well as for end-of-season celebrations. 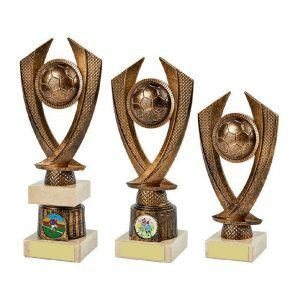 Whenever you need to celebrate the man of the match, Challenge Trophies Online can provide the awards, medals and scrolls you need. They’re ideal for any age.